I have an old silk kimono that I wear about the house. It makes me feel so elegant and bohemian, with its heavy dark blue and green jacquard weave, with occasional flashes of its bright scarlet lining. I sometimes feel sad that I have to take it off when I leave the house, but I must. It is so long that it would graze the ground and I couldn’t ruin something so beautiful. 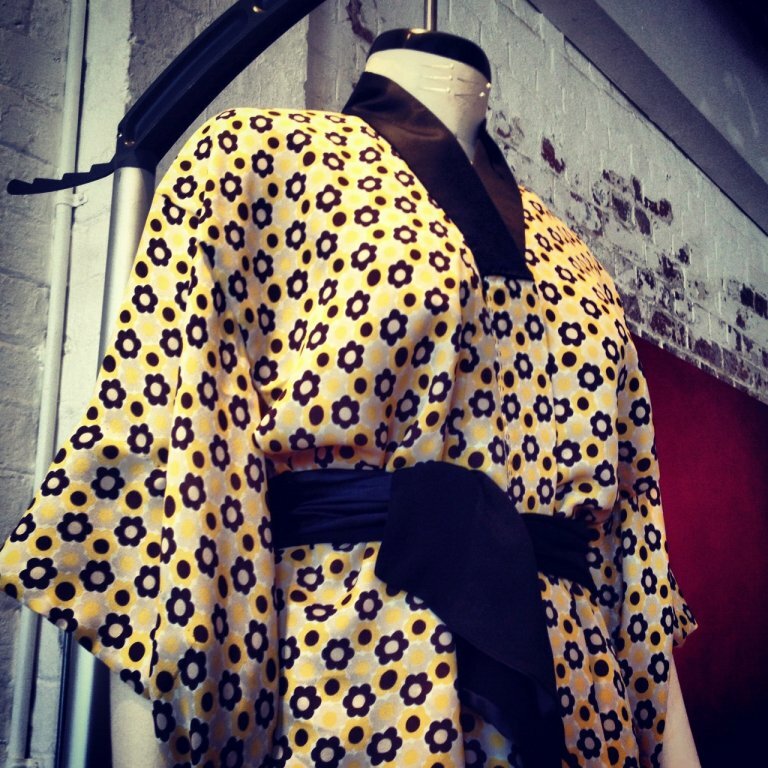 The obvious solution was to copy my kimono, but cut it off at hip level to make a sort of elegant light jacket. I measured it up and drafted the pattern in Grafis (pretty simple really, its just a series of rectangles). The fabric is some silk I bought a while back at the closing down sale of a shop across town. I bought it because it was silk and had a nice drape and was one of the more colourful items in the shop. The fact that its a difficult combination of yellow and beige has been the main thing preventing me from doing anything with it until now. Its not an easy colour to pull off, but I think it works in this context. The black around the neck should help to keep the yellow away from my face. The lining is another bit of fabric I had lying around which seems to complement it. I hand finished a lot of it because I didn’t feel like the fabric would take well to a machine finish. In the end I’m pretty happy with how its turned out. The weather is just right at the moment for a jacket of this weight, and the jolly colour also helps to keep things light. Well, that’s the first one out of the way. Stay tuned for number two! 05 Mar	This entry was published on March 5, 2012 at 11:08 pm. 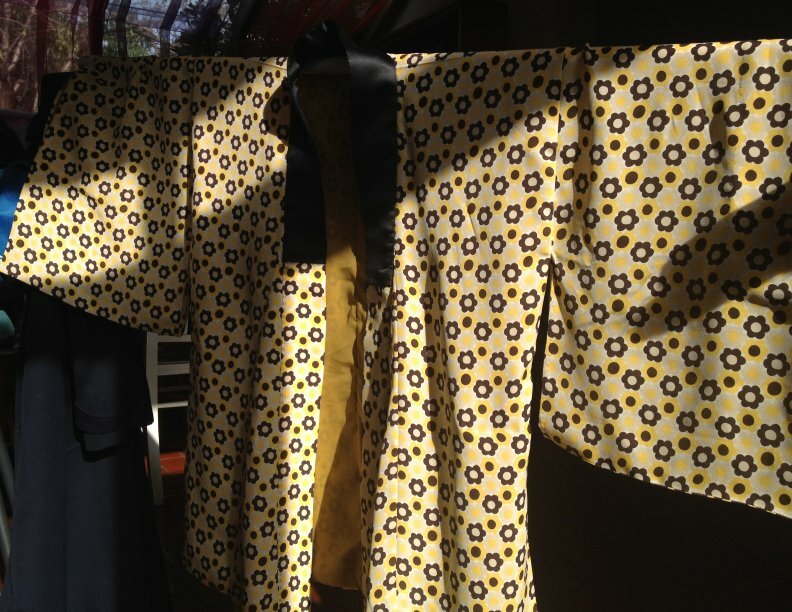 It’s filed under Projects and tagged clothing, Fashion, Jackets, Kimono, Sewing, Silk, Yellow. Bookmark the permalink. Follow any comments here with the RSS feed for this post. Beauifully written, photographed and expressed! Looking forward to the next entry!